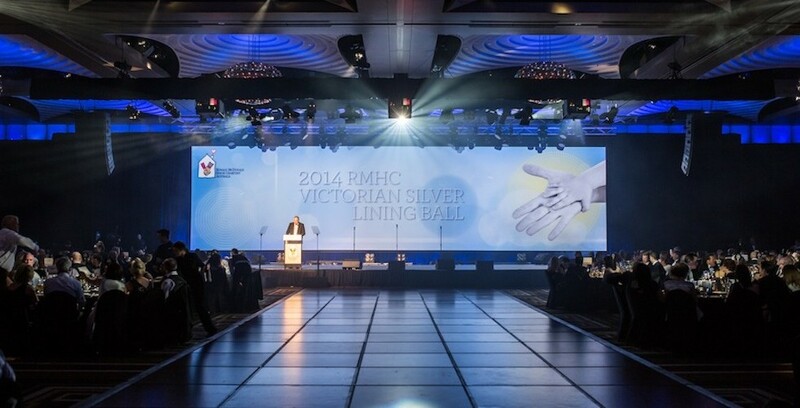 For this year the RMHC Silver Linings Ball Organising Committee wanted to break from the standard ball formula and totally change things up with a focus on innovation. 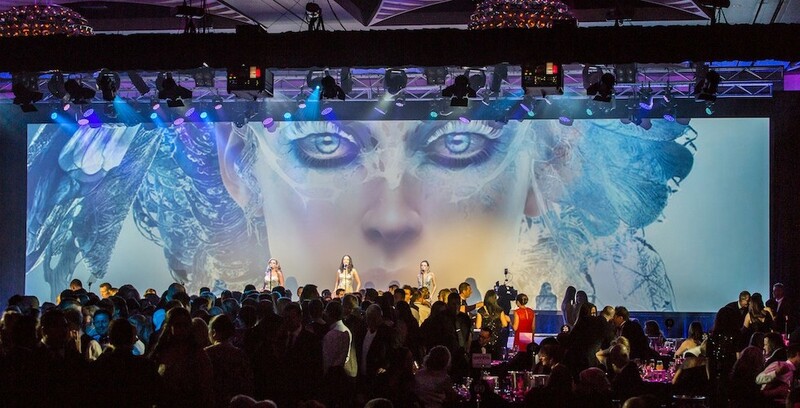 Collaborating together on a stunning solution the Instinct Events and Microhire teams changed the orientation of the Palladium to focus on a large stage and huge 18-meter wide screen set on the ‘West Wall’. 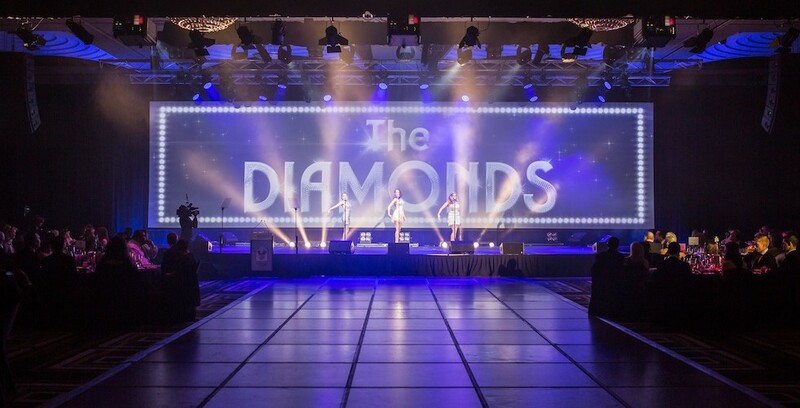 Guests were amazed when they entered the room and many commented on how much closer they felt to the stage. 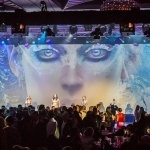 The huge screen greatly assisted in communicating the many ways guests could help contribute to the charity on the night, and created a dramatic visual panorama for each of the entertainment performances. As each act was introduced their logo was emblazoned across the screen and overlaid with animated effects. 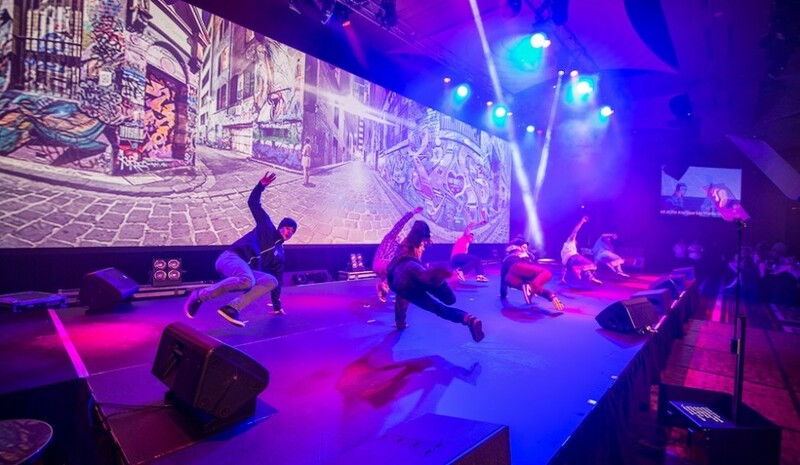 During their performances the screen provided a virtual digital canvas of backdrop effects, sometimes stills and other times pure digital video effects. An additional four screens, set in the corners of the room, were used to project the live speakers and performers. 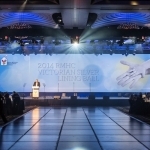 As always then entertainment at the RMHC Ball is greatly anticipated and by all reactions the guests were again enthralled. This is THE charity Gala Melbourne puts on. 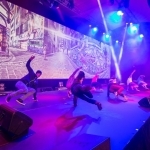 With MC Craig Hutchison hosting the formalities, the entertainment included Wickid Force, Australia’s Break dancing Champions, stunning vocal trio The Diamonds, renowned Australian contemporary recording artist Timomatic, and back for the second year running, the amazing Chloe Maggs Band. 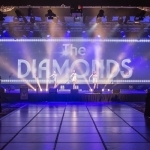 Thank you so much for a great night, the entertainment including the Diamonds was fantastic!!!! Your work throughout the whole lead up to the event was wonderful and I have enjoyed the process immensely. Michael Davey, Creative Director Microhire. Feedback is that it was such an easy night – people loved the layout too! Superb – great job to you and your team. Guests are raving about The Diamonds!!!! They were adorable and so good. Timomatic was fabulous… and Chloe got them up as usual. Entertainment was so good. Oh forgot the opening boys – how good were they. Well done everyone – sensational evening. I loved it too!!! You all did an incredible job.